Fatigue Crack Growth Rate (da/dN) Testing is designed to determine the rate of cracking under specified loading conditions once a flaw has been initiated in the specimen. The graph of Cyclic Stress is plotted against the Crack Growth Rate, with stress intensity being the controlling variable. 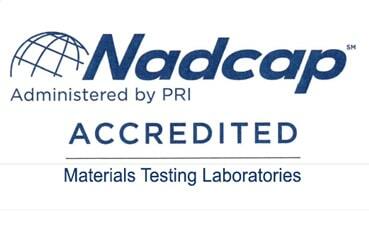 The R&D department employs numerous crack measuring techniques including Electric Potential Drop (EPD), Compliance, Bonded Crack Gages, and Visual Measurements. 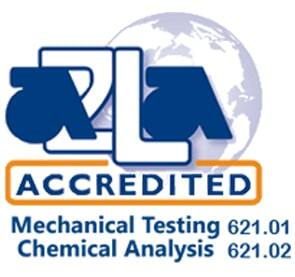 The test conditions typically are R-ratio, waveform type, frequency, K-gradient, test temperature, and environment. We can handle numerous specimen geometries, as well as C(t) specimens with widths up to 5 inches, and Center Crack M(T) panels up to 20 inches wide. 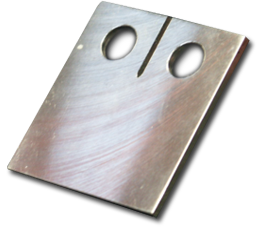 Along with standard specimen configurations, other geometries can be tested as well, including Single Edge Notch Bends (SENB), Eccentrically-Loaded Single Edge Crack Tension specimens, including various surface flaw specimens like the Kb bar and Corner Crack specimens. 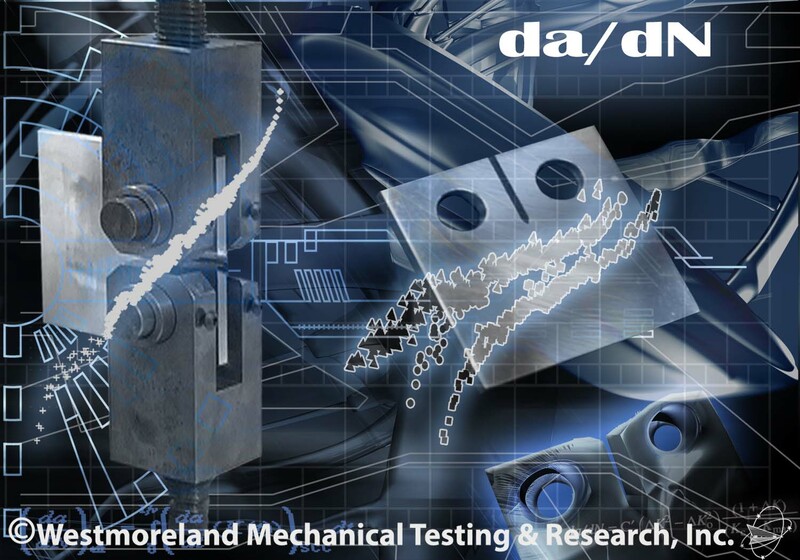 We have also developed testing protocols for custom sample designs, components, and fasteners. We have the capability to test using frequencies in excess of 30Hz, depending upon specimen size and test condition. In addition to testing specimens under constant loading conditions (sinusoidal, triangular, trapezoidal), WMT&R can also test specimens under various loading conditions such as K Gradient, Constant K, Spectrum Loading, Block Loading, and Periodic Overloads. Fatigue Crack Growth Rate Results are reported in both tabular and graphical formats. Paris Law and threshold values are provided. The graphs include both dadN vs. DeltaK and Crack Length vs. Cycles.